What kinds of commentaries can we expect in a guided tour? 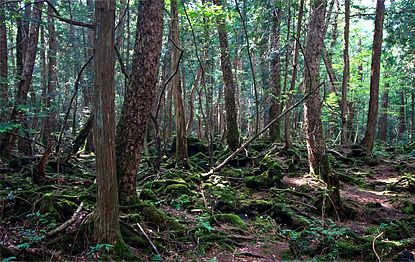 Aokigahara Jukai (the sea of trees) still retaining world-class huge primeval forests and lava caves as national natural treasures surviving for more than 1,200 years. We offer you guided tours enabling you to further enjoy these two monuments. You can relaxingly feel nature because any course has much time to spend. You enjoy a leisurely walk while listening to distinctive commentaries on nature from our guide with detailed and broad knowledge of Jukai. Aokigahara Jukai has been designated as Fuji-hakone-Izu National Park and is a huge collection of primeval trees retaining precious nature in terms of history as well. 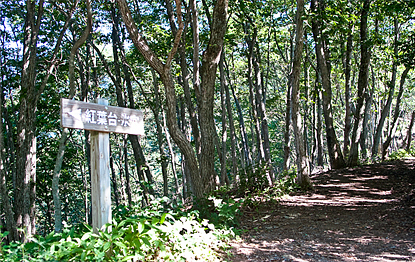 Fugaku Wind Cave and Narusawa Ice Cave situated within this Aokigahara Jukai are national natural treasures surviving for more than 1,200 years. The temperature in the caves steadily ranges from 0 to 4 degrees throughout a year. These caves are cold enough to produce ices in winter and not to lose them even in summer. The two caves are tunnel-like (lateral) ones and famous as geologically valuable lava caves. 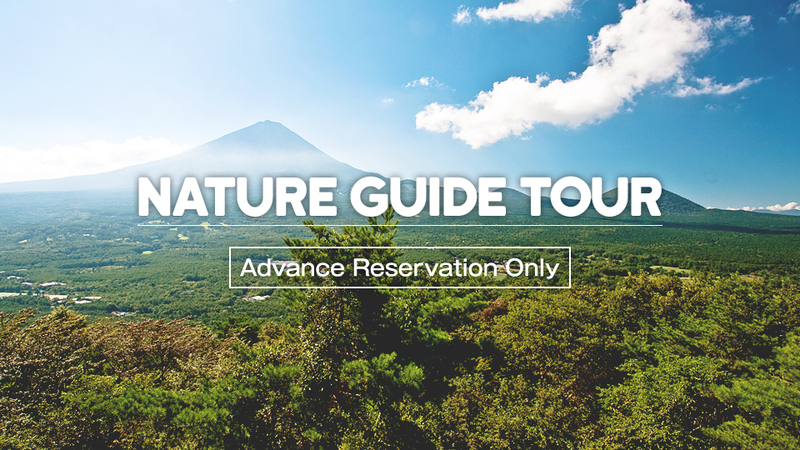 Our guided tours aim to create an opportunity where all of you become aware of the beauty, pleasure and significance of lava caves and Jukai. We always do our best so that all of you can complete your guided tour with smile. Your course may be changed depending on the weather, the number of participants, the time and/or the judgment of your guide. You walk along a part of the Yamanashi-ken course constituting Tokai Nature Walking Path , a long-distance nature path across eleven prefectures (one “to”, two “fu” and eight “ken”) from Tokyo-to to Osaka-fu. This is a nature path enabling you to feel history, culture and nature. You walk along the well-maintained nature path in Jukai while appreciating rocky atmosphere particular to lava. A hill climbing course in which you walk through woods and Jukai made by volcanic activities and hills generated by the uplifting of the seabed. 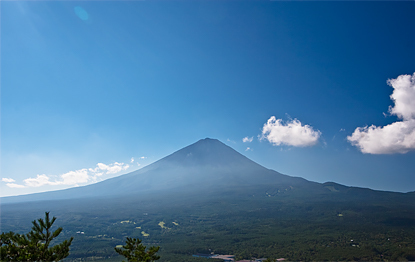 Koyodai is a place where people appreciate the scenery of Mount Fuji and its spaces, and also a place selected as one of the best eight sceneries of Mount Fuji. 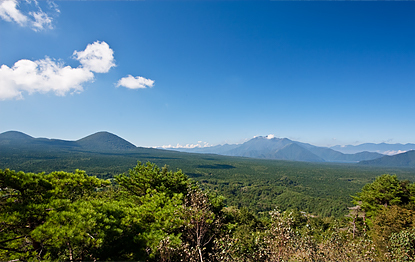 The panoramic view from the observatory of Sankodai is magnificent, containing Mount Fuji, Aokigahara Jukai and three lakes. 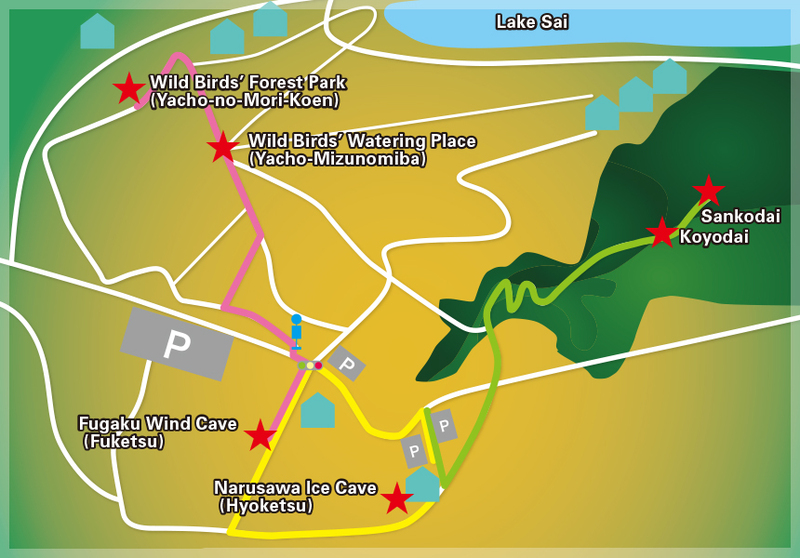 This is a course in which you start from Narusawa Ice Cave, walk through the nature path at Koyodai while fully enjoying the autumn season, and return to Narusawa Ice Cave after walking along the pathway in Jukai. In Jukai, you will find rare forests being a mixture of needle- leaved trees and broad-leaved trees. Wouldn’t you like to relaxingly walk through Jukai in autumn painted with the combination of the three colors of red, blue (green) and yellow?